View a larger JPG image here. Blogging for business is a topic that is confusing for a lot of people. Seasoned bloggers know about the tremendous advertising and branding potential of blogs, but many business owners still don't. In order to help explain how and why blogs have so much marketing potential, I created this business blogging map and article. There's a ton of information out there, and I think this helps organize and explain some of it. For more details, and lots of links to other great resources, check out the full article. The big picture of blogging for business goes something like this. In order to be successful with business blogging you’ll need to put in a good amount of time. Blogs need to be updated regularly, most people say between 3-5 times per week, so there is a lot of writing involved. Also, blogging is a very social activity. This means that you should read and comment on other blogs, as well as network and build relationships with other bloggers. In summary, it takes time and effort. The result of your efforts, however, can be truly outstanding. A well-designed and frequently updated blog can boost your website to the top of search results (blogs are awesome from an SEO perspective), it can draw in thousands of visitors, and it can help build your image as an authority. A successful blog can serve as branding, advertising, networking, and sales all rolled into one. And they don’t even cost much. For those of you who want more details about exactly what a blog is, check this article out. 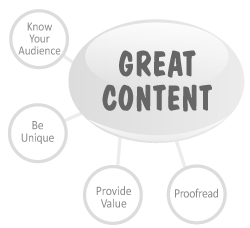 Writing great content is the key to a great blog. The second major component of a successful blog is networking. Basically, you’ll want to form relationships with other blogs in your niche. The more friends you have, the better off you’ll be. Your blogging friends will link to you, send traffic, and comment—all of which are important to successfully marketing yourself online. Plus, you might decide you even like a few of them. 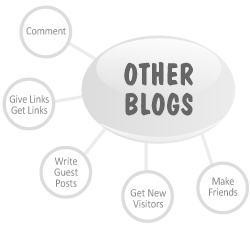 Technically speaking, a blog is a type of social media. 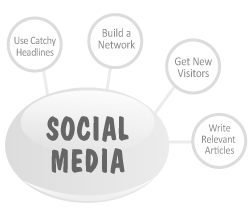 In this context, however, I’m talking about social media news sites specifically, and how to get lots of visitors from them. In essence, a social media news site (like Digg, Reddit, or StumbleUpon) is a democratic way of presenting articles. Good articles are voted up to the front page, bad articles are voted down.Going popular on one of these sites can literally send thousands of visitors in a single day (but don’t underestimate how difficult it is). Ah the mystical realm of SEO—which, in reality, isn’t very mystical (or even very difficult) if you’re running a blog. 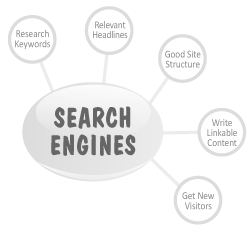 Blogs are almost the epitome of perfection when it comes to getting search engine traffic. A well run blog will naturally have good content, and will naturally get links from other websites. These two factors alone make for a very well optimized website. The only things that aren’t directly inherit to blogging are keyword research and site structure, but both of these can be learned. Blogs are a really good marketing tactic for small businesses. A blog can raise your profile on the internet, attract new customers, build your authority, sell more of your products, and many other great things. Here’s the question: is blogging worth the time and effort it takes? Personally, I think it’s worth the effort, especially if you can sell things online. Even in cases where you might only do business locally, or have a single brick-and-mortar store, I still think there is a lot to be gained from blogging. Mason, excellent post! This really describes how small businesses can benefit from blogging. One more benefit to add: it’s fun! Great article. This is the first explanation of blogging that I could send a client to. Nice visuals as well. @Reid - You caught me, I actually wrote this to send to a client (many clients actually). I almost used that image as the entire article. I eventually decided some people might want a lengthier explanation too, though. Great article. It prompted me to write about my own results on my blog. Think of this an old school trackback. Excellent post, thank-you. Personally, I would add an emphasis on the “Great Content” part, as I see too many business blogs that are just flat out sales pitches for the companies products, dressed up as a blog. To really use this medium, you must add value to your offering. Give your prospects and customers something that they can’t get otherwise. This can range from “power tips” to, well, just about anything else that relates to them in the context of your product in their lives/business. Marc - Great point here. I’m going to personally make sure this is not how my blog comes across. I don’t want others to get the wrong impression. I subscribe to this blog and so far it is on top of my list of blog I subscribe to! @Eric - That’s a great story, it’s very inspiring. It also shows exactly why blogs can really be so good for small businesses, thanks for sharing. @Marc - I definitely tried to emphasize how important good content is. Blogging will get you nothing if you don’t give other people value first. @Josh - I’m glad to hear you’re enjoying the blog, I’m certainly doing my best to give you guys some good stuff. @Steven - You’ve more than earned the mention. This is a great general map that shows how the whole shebang fits together—very well done! Could be used for any kind of blog. Mason: my apologies, I didn’t mean to make it sound like “Great Content” was under emphasized, it’s just my latest pet peeve… sorry ‘bout that. I see a commitment of 26-35 hours a week for the tasks listed above. All of which, based on my research are necessary to do… and do well. How can blogging work for me? 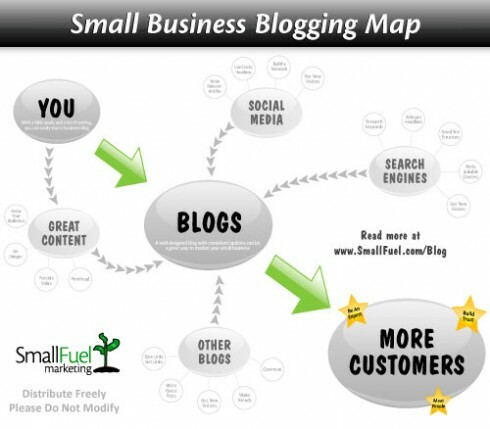 @Steve: not to try and steal any thunder away from SmallFuel (well, okay, maybe a little), but what you’re talking about is exactly the kind of issue that makes typical blogging advice inappropriate for business blogs. A “business of one” means you need to get maximum value from the time and money you spend in your efforts. A blog does many things for you at once, much in the same way you have to wear many hats to run your business. A blog is your website, PR, marketing, customer relations, sales lead generator, and industry connections all rolled into one. If you’re reaching the right people, you only need to spend a couple-three hours a week on the blog at the most. A good blog consultant can slash your learning curve and prevent you from making typical beginner’s mistakes—well worth the money. When you run a small or micro business, building your network and establishing relationships with others is vital. The tools don’t matter. Sure there are online tools, but if all your business is local, people will still use your site but may not social media (for now… new generation coming up fast). Point is, it’s all about the same amount of time, regardless of your tools or method (email, lunches, phone, whatever). Just the proportion of time you spend on each tool changes. Blogging certainly isn’t for every business, and it’s up to the individual business owner to make that decision. That said, I think Michael hit the nail on the head. Blogging isn’t necessarily additional networking, advertising, and branding—it’s stuff you’re probably doing anyway as a successful business owner. Whether you’d prefer to network in person, or through a blog, comes down to your skill set and preference. Thanks Steve and Michael for the excellent comments. I love your picture at the top of the page!! I was wondering if I could use it for a presentation that I am doing for school? I will let everyone know where they can find your story and picture. If you can e-mail me and let me know. Thank you! This graph very help full for knowing how blogging can improve your business strategy and how to get good customers from this social media. This small business graph is really helpfull for new blogger and they know about blogging power for getting business and mason good work. что я видел. Великое спасибо. на котором можно <a >хорошо зарабатывать</a>. Muffin” name was used to describe the flavor of the product, and was in compliance with applicable laws and regulations. Plastic cards - View our range of Plastic Cards, see Special Offers, get an Instant Quote, order free Sample Packs. tax planning uk - financial tax planning, tax planning services, uk tax planning & uk tax services from J F Hornby, one of the leading accountants in Cumbria. Hey! Great work on the blogging topic for small business. Thanks, I will have to bookmark this page for later on. David Engelman smart payment plan relaxed me of my worries of remembering loans and bills payment dates. It is really just like as they say “Set it and Forget it”. I owe no more tension! Really the idea of small business blogging found so helpful. 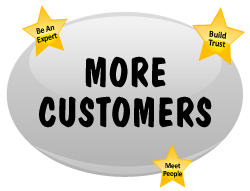 it is an effective method to cut some good number of customers. That’s why I warned in this space on Wednesday last week: “High earners should seriously consider making pension contributions before the Chancellor of the Exchequer presents his Autumn Statement. These ways are effective and very helpful to grow your small running business.That’s some great ideas. I have the same questions like S. blogging worth the time spending or the effort ? These are the first minutes of the film that I might want to show here. Tragically, it might be unlawful (what bologna), so I simply kept the trailer to give a thought of the film to the individuals who have not seen. There are alot of ways to bring you customers for your services or products, but is not that easy to find the ‘key’ of them. Promoting yourself too much must cause you more damage than doing nothing.